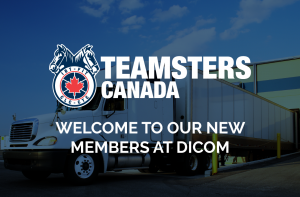 Laval, April 24, 2019 — Owner operators of the Dicom courier company in Drummondville have joined the ranks of the Teamsters Union. Alain Coursol of Teamsters Local Union 931 filed an application for certification yesterday afternoon with the Canada Industrial Relations Board (CIRB). Workers have reported that the company has reduced its pay scale in the past few weeks, reducing their salary to what it was fifteen years ago. The Teamsters Union is the dominant force in the parcel and package delivery sector in Canada, with more than 17,000 members. We defend the interests of workers at Purolator, UPS, Intelcom, ICS, Nationex, Dynamex, MGM, CMC Express, Loomis and Colispro, among other companies. “I would like to congratulate the organizing team, especially brothers Alain Coursol and Alain Turcotte, for their excellent work,” Coursol added. The Teamsters Union represents close to 125,000 workers across Canada, including more than 35,000 workers in various industries in Quebec. Teamsters Canada is affiliated with the International Brotherhood of Teamsters, which has 1.4 million members in North America. 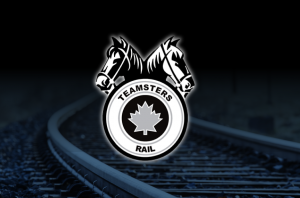 Laval, QC, April 18, 2019 – A tentative agreement has been reached between the Teamsters and managers at Autobus DL. The company’s 30 school bus drivers are members of Teamsters Local Union 106. Sylvie Duval, business agent at Teamsters Local Union 106, will present the company’s proposals at a union meeting next week. 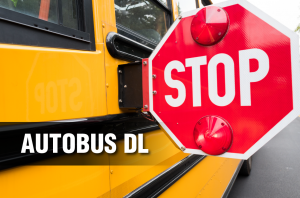 This means 3000 to 3500 students at the Eastern Townships School Board and the Commission scolaire du Val-des-Cerf will continue receiving school bus service next week. Workers had previously voted to authorize strike action. 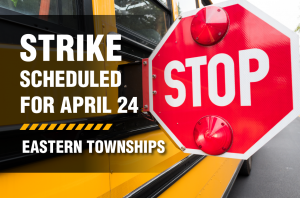 More details will be made available once members vote on the tentative agreement. Teamsters represent close to 125,000 members in Canada in all industries, including over 1000 school bus drivers in Québec. The International Brotherhood of Teamsters, with which Teamsters Canada is affiliated, has 1.4 million members in North America. It is with a heavy heart that I learned that Brother Andy Mastoris, a legendary usher at the Scotiabank Arena and long-time member of Teamsters Local Union 847, died last week at the age of 80. Andy started working as an usher in 1964 at the Maple Leaf Gardens. On his first day, the Beatles were playing at the Gardens. He was there when Toronto last won the Stanley Cup, in ’67. Over the years, fans came to know and love Andy and went out of their way to stop at Gate 1 to have a chat with him, and maybe take a picture with him. His smile was contagious. He was mentioned in and profiled in various publications, eventually becoming part of the sports lore in Toronto. Andy loved his job, and he loved people. Andy, in turn, was loved by his co-workers, his friends, his family, and thousands of sports fans. April 8, 2019, Prince Rupert – Fresh on the heels of opening a new office in Prince Rupert last December, Teamsters Local Union 31 is pleased to welcome twenty-six new brothers and sisters employed at the Coast 2000 Prince Rupert and Ridley Island Terminals. The local union’s newest members operate lift equipment to offload lumber from either railcar or flatbed trucks. The wood product is then carefully handled by Teamsters and stuffed inside sea containers en route to international customers. The Teamsters container lift operators stack sea containers within the yard and lift sea containers on and off trailer chassis. The hostlers operate truck equipment that moves sea containers within the terminals. The Coast 2000 Prince Rupert bargaining unit is one of two Coast 2000 units that Local Union 31 represents, the original being in Richmond, British Columbia. Over time, Teamsters members have helped create Coast 2000 into the largest leading third party logistics export service provider to the pulp and paper, lumber, and international steamship line (sea container) industries. In late February, Local Union 31 President Stan Hennessy, Business Agent Anthony Kirk and Organizer Ben Hennessy conducted a union meeting with the new Coast 2000 Teamsters at the Highliner Hotel in Prince Rupert. 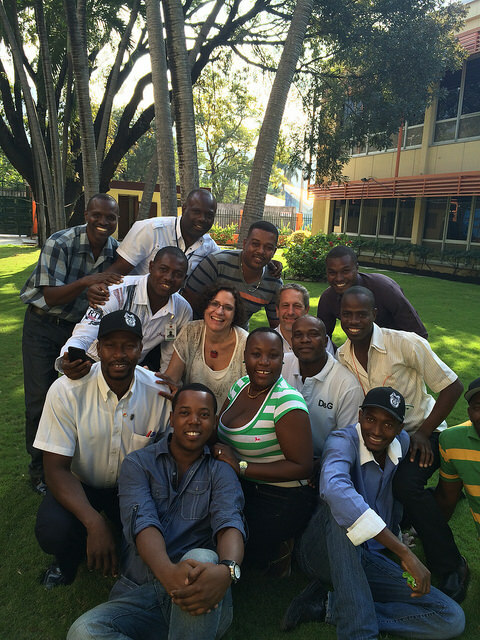 Hennessy chaired the meeting and guided new members through their collective agreement. Since then, Anthony Kirk has met with members at the job sites. The new collective agreement commenced on March 1, 2019, and will expire on February 28, 2022. The hourly rates of pay and benefits will make Coast 2000 the industry leaders in Prince Rupert. Workers elsewhere in Canada can confidentially fill out a form HERE to have a local organizer get in touch with them. 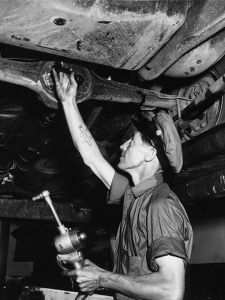 Founded in 1903, the International Brotherhood of Teamsters (IBT) represents more than 1.4 million active members employed in a wide range of industries in North America. 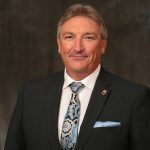 Teamsters Local Union 31 proudly represents 8,000 members in British Columbia and the Yukon Territory, including general truck drivers, transit and bus drivers, warehouse, grocery, courier, public sector, pulp and paper workers and limousine chauffeurs. The other concerns listed by Transport Canada, like the absence of communications support and ambulance service, were also raised by the union and the families in the aftermath of the derailment. The Transport Canada directive can be read here. “We are disappointed that the Hudson Bay Railway has chosen to appeal the directive. The TCRC will be participating at the hearing. This isn’t about pointing fingers. It’s about figuring out what went wrong, how the system failed and making sure it never happens again,” added Hackl. Both men initially survived the crash, and the injuries sustained by the conductor appeared to have been entirely survivable. But paramedics were not allowed to attend to the wreck site. It is not clear how that decision was made, or by whom. Nine and a half hours after the derailment, the conductor finally died of blood loss while still at the scene of the crash. The deceased conductor has now been identified as 38-year-old Kevin Anderson. The surviving locomotive engineer is a 59-year-old man who asks that his privacy be respected at this time.